Voting is every citizen's constitutional right. Those that dare ignore this right and not vote are in most cases punished by being led by non-leaders. Leaders who put selfish narrow interests ahead of those of their constituencies. They become victims of poor service delivery and abuse of power. To avoid being victims of such mis-leadership, let us register to vote because our future is in the balot box. Our youth has a tendancy of not voting.They are the most people that are affected by poor leadership. They remain unemployed and end up indulging in juvenile delinquency. If poor leaders are voted to power, poor governance is inevitable. So to curb this from happening, let us register to vote and exploit our constitutional right of choosing our leaders. As NPP we have a lot of challenges premised in the BRV registration system. In the rural areas, especially in uMzingwane district, registration stations are too limited. The villagers who live far from the registration stations are not committed to walking long distances to register. The old and disabled cant walk these long distances hence their constitutional right to vote is enfringed. We therefore, request ZEC to put more voting stations in rural areas to reduce the distance one has to walk to register and cater for the old and disabled. In the same rural areas the BRV machines are often out of order because of dust and wind. To make matters worse it is electro-operated hence areas with poor electricity supply are affected. When there is load shedding, registration is also affected. When a generator is used, any mechanical fault can derail the registration process. Another pressing issue is that of the commissioners of oath therein the registration stations who happen to be Zanu Pf councillors. They sometimes victimise those they know belong to the opposition. We therefore, request ZEC to deploy non- partisan commissiners of oath for a fair registration process. There is a group of Zanu Pf people in uMzingwane district who are intimidating the voters, misinforming them that the system will show who they voted for, so they must vote carefully or else they will be punished . Such evil elements must be warned that the opposition will take necessary steps to punish the culprits within the confines of the constitution. 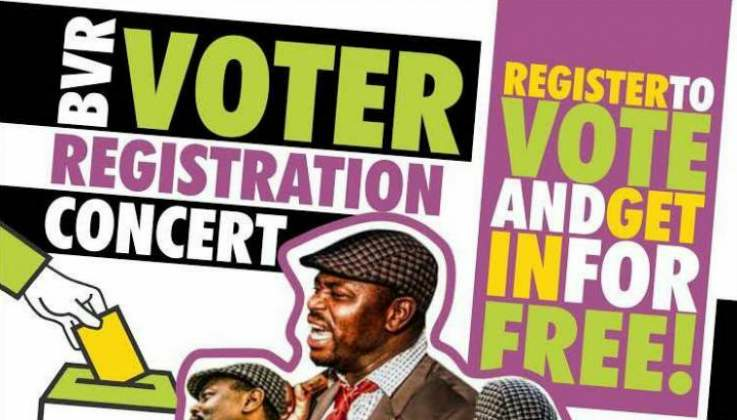 For those residing in and around Habane, Esigodini ESRDA partnership with WILD and ZEC will be hosting a biter registration drive on Sunday at Athens Bar from 2pm to 6pm. 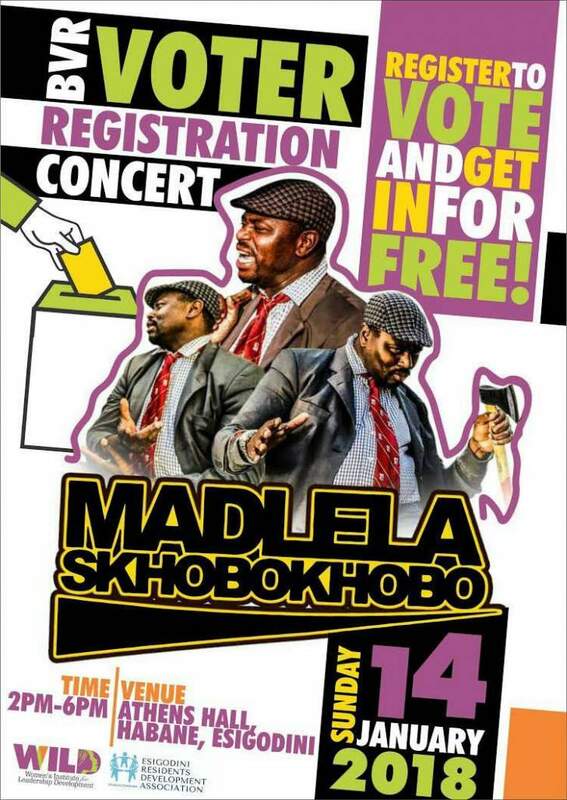 Entertainment would be provided by Madlela Skhobokhobo and entry is with the registration slip only. Mobile registration centres with commissioners of oath will be erected outside the venue. Let us go out there in numbers and register to vote. ZANU Pf councillors are agaisnt this wholesome initiative for reasons only the devil knows. They have tried in vain to stop this great initiative. Registration will never be derailed by evil elements in our midst who are cowards pushing the diabolic agenda. We therefore, would like to thank ESRDA and its partners, WILD and ZEC for putting up such a noble initiative. We hope it would be employed in in most regions around the country to ensure that registration in happy numbers. Voting is our constitutional right, let us exploit it wisely. Victory is certain, alluta continua.